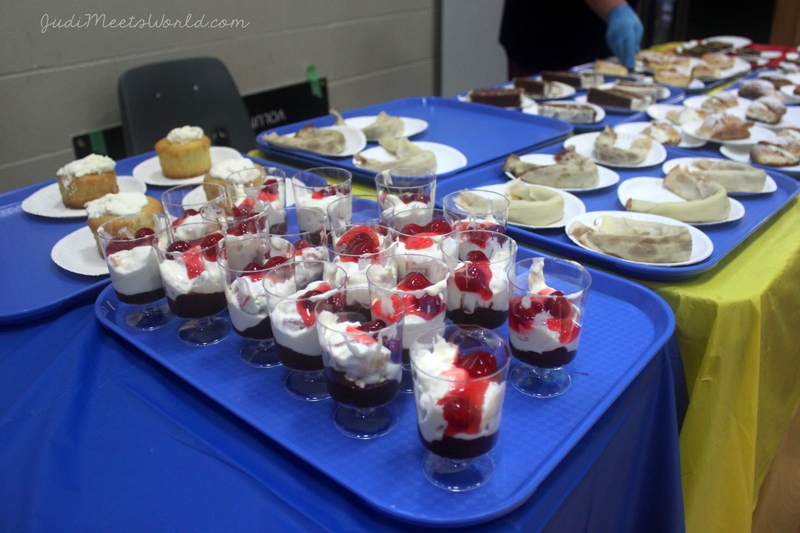 The Romanian Pavilion was ready to invite guests to celebrate their 15th year at Folklorama! 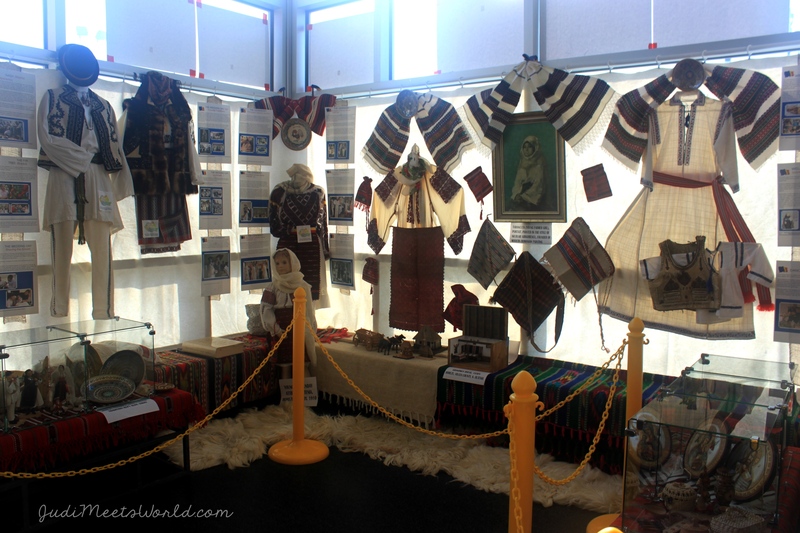 The cultural display was in the hallway close to their souvenir shop. Here you can buy some sweets and snacks while perusing the display. 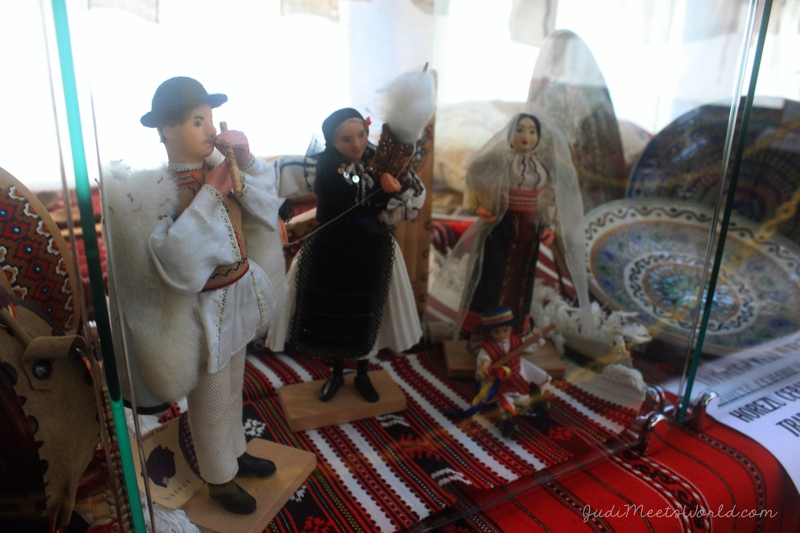 The main display had many artefacts that showed the daily life as well as traditional Romanian clothing of the different regions. I also got to see a hall of fame of notable Romanian contributions to the arts, science, space, etc. The delightful scent of the food fills the halls as you watch the dancers, and how does one not resist that? There are also notable Dracula-themed foods such as the Dracula Chicken and Vampire Ears. This year, out in the back, they were grilling a new menu item: mititei which is a garlicky, spicy kind of sausage. The Balada dance group is young and enthusiastic to share their culture with you. They perform in front of a beautiful backdrop showing the mountains and countryside! The neat part was seeing their outfits in the cultural display as well. 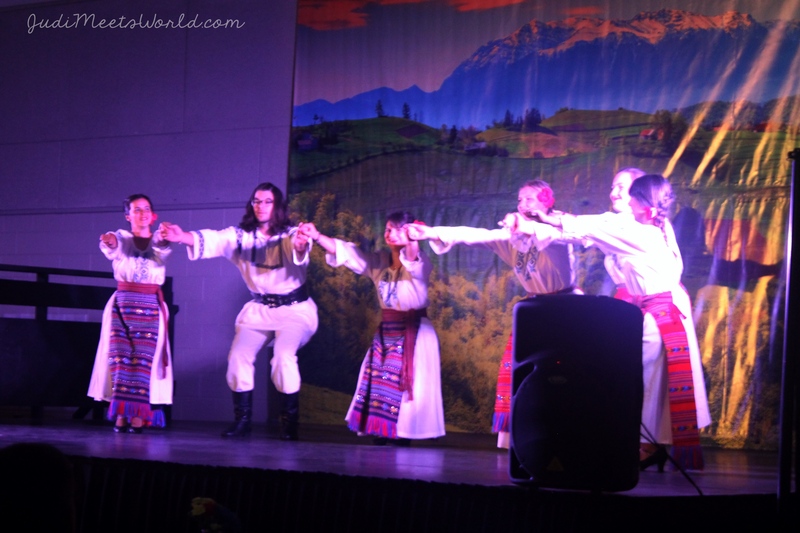 Congratulations on 15 years to the Romanian Pavilion of Folklorama!